The list is long: crimes against the environment, criminal organisation, money laundering and forgery. These are the charges that were brought against the six people arrested by the Spanish authorities last week for being part of the notorious fishing syndicate, Vidal Armadores. Patagonian toothfish is a species sought after in restaurants and high-end markets worldwide. This highly prized fish, sometimes referred to as ‘white gold’, has unfortunately caught the attention of illegal, unreported and unregulated (IUU) fishing vessels, contributing to the collapse of populations and the closure of some fisheries. Vidal Armadores are alleged to have employed a host of mechanisms to avoid detection and facilitate their operations. Repeatedly changing the names of their vessels, continuous re-flagging and the use of flags of convenience (which exert no real control over the vessels they offer their flag to) alongside elaborate networks of alleged shell companies across the globe (hiding the real beneficial owners) are among the tricks the Vidal Armadores network has used to catch toothfish in Antarctic waters. Although their vessels have been blacklisted, they have been renamed and reflagged as many as six times in countries such as Equatorial Guinea, Mauritania and Panama in order to evade the authorities. One of them was renamed three times in a year. The Kunlun ship, recently known as Taishan, which allegedly declared a load of 183 tons of grouper when in fact it was toothfish and was detained in the port of Phuket before escaping, is linked to the Vidal family. This vessel was finally detained in Dakar. Others such as the Soghua and the Yongding were arrested in Cape Verde, but managed to re-flag to Mauritania under the names Zemour 1 and 2. A fourth vessel, the Tiantai, sank in strange circumstances in 2014. 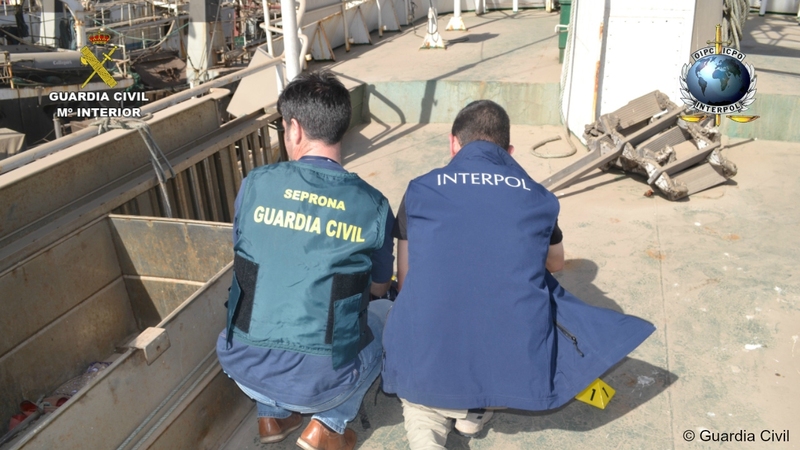 The international operation, Yuyus, involving both Interpol and Europol, and coordinated in Spain by the nature protection service (SEPRONA) of the Civil Guard, was finally able to collect evidence which led to the recent arrests. If these six individuals were to be convicted, it would not be the first time for the Vidal family. In the US for instance, Antonio Vidal was prosecuted for attempting to smuggle toothfish. Unfortunately members of this family have also often been acquitted, but tougher legislation against illegal fishing is finally closing in on the perpetrators of such activities. It is clear that Vidal Armadores are currently being pursued from all sides. Yesterday, under the so-called operation Sparrow I, the Spanish Ministry of Agriculture issued fines of almost €18m against nine companies and seven individuals linked to the four vessels mentioned above- in addition to the prohibition to hold fishing licences for up to 23 years and to obtain public subsidies for up to 26 years.